Make Vitacubes Part of Your Kids Baon! Most of your kids would be on sem break by now and you have that time to relax in terms of homework and preparing your kids school meal. But once they go back to school then you go back to planning their school baon everyday. Nutrition is sometimes so hard to keep up with and with the fast pace life we either don't get much time (especially if you are a working mom like me) to prepare food or sometimes we forget to give their vitamins. Now, there is nothing that can replace a good nutritious meal backed up with the right supplements but there is a way still to get some nutrition to your kid - the fun way! 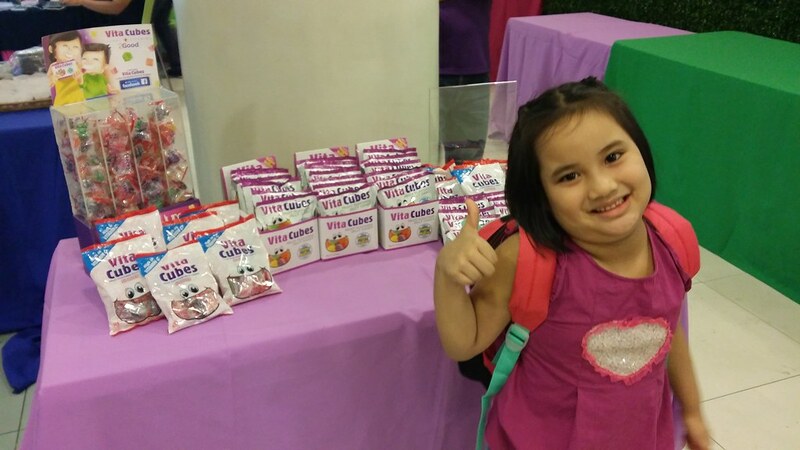 I am so grateful to Vita Cubes since I can now have my kids snack on candies guilt free! 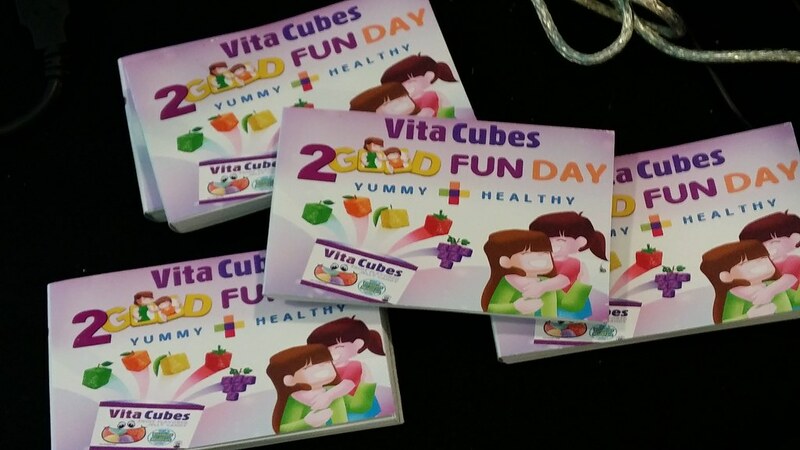 During the Vita Cubes Fun Day Part 2, Parents and Children got to experience and share in the Joy of what Vita Cubes is all about. 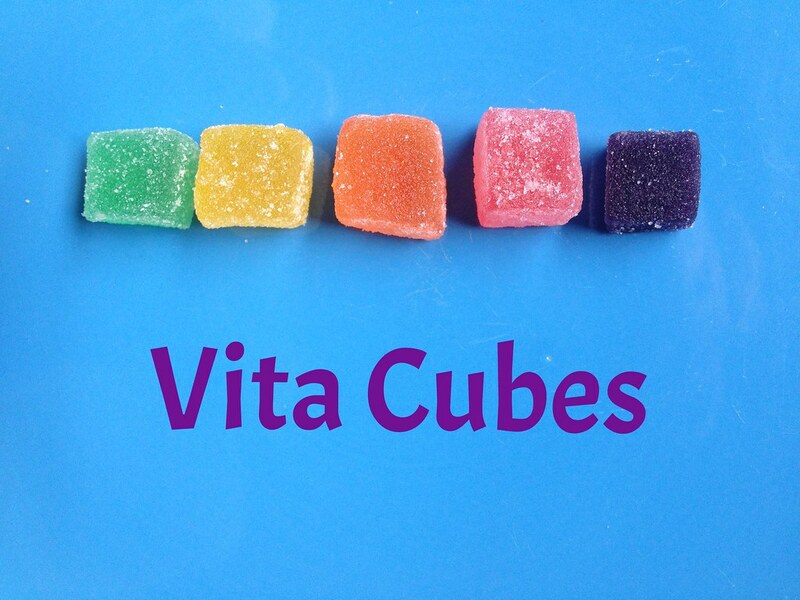 Vita Cubes a Jelly candy which comes in 5 flavors (Strawberry, Apple, Grape, Orange and Mango) is fortified with essential vitamins and minerals which is vital to their growing years. My little lass with Vita Cubes, she is such a fan! Photo Flipbooks for all the Mommy Bloggers! Amazing right? Who would have thought that candy could pack this much in? Now if you want to read my full review about this jelly candy wonder, you can do so by clicking here. Vita Cubes is available at all Mercury Drug Store Outlets, SM Supermarkets, Robinson's Supermarkets, Waltermart, Landmark, Puregold, Mini Stop and local grocery stores. Vita Cubes comes in boxes of 10 (50g) packs or you can buy individual 50g packs at 12Php each. Singles are also available in Sari-Sari stores for only 1Php each! Vita Cubes is a product of Rebisco. So go and get your supplies for your kid today! Thank you Mommy Mundo for inviting me to this wonderful event!